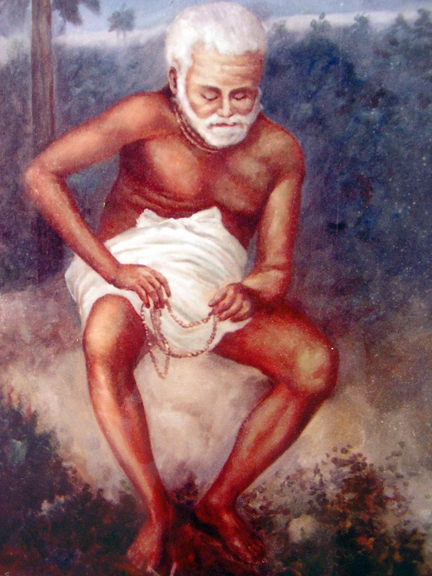 Srila Jagannath Das Babaji was the shiksha-guru (instructing spiritual master) and babaji-guru of Srila Bhakti Vinod Thakur. Srila Bhakti Vinod Thakur was known to be especially fond of hearing his discourses on Srimad Bhagavatam. Although physically crippled, Srila Jagannath Das danced in divine inspiration upon discovering the holy birthplace of Sri Chaitanya Mahaprabhu. It is said that he lived for 125 years, and he was known and revered by all the devotees of both Vrindavan and Nabadwip.